Jumbo size pig shape bottle opener is a best choice of gift for marketers trying hard to win over their customers. It works well with marketers targeting young customers and trying to buy their interests for long time. 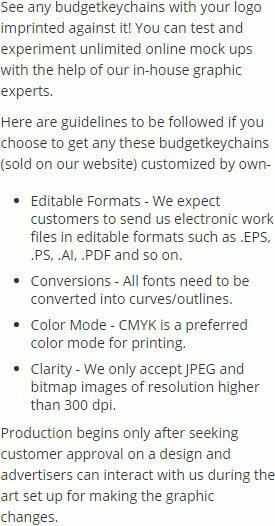 Ideal for imprinting logo and other business messages. It works for pet care, animal farms, delicatessens, restaurant and many more in food and beverages industry. Customized jumbo size pig shape bottle opener keychain can be gifted individually as a combo with some big budget purchases. 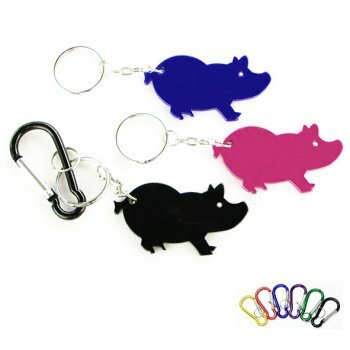 Request a quote to know price savings that we offer on wholesale jumbo size pig shape bottle opener keychain. Features – Pig shaped aluminum body in metallic finish. Product color - Metallic Pink, Metallic Black, Metallic Gold, Metallic Green, Metallic Purple, Metallic Red, Metallic Blue, and Metallic Silver. Product Size – 2 11/32" x 1 1/4 "
Imprint area - 1" x 5/8". Imprint Area :1" x 5/8"
Product Size :2 11/32" x 1 1/4"